The underlying virtues of DevOps are continuous improvement and development. The development and IT operations teams are expected to collaborate and be active participants in this collaborative and iterative process. The objective is to ensure smooth functioning of the application with minimal interruptions. So more than the technicalities, it is imperative to nurture a culture that encourages the adoption of DevOps approach. The idea is to enable self-learning and self-improvement amongst employees on a consistent basis. Change is tricky and while on a transformation journey it is important to realize the objectives of the project or task at hand. The objective helps structure the metrics for tracking the overall development process for the respective teams. DevOps dashboards enable system Admins and developers to remain updated with the software application’s key performance metrics like up-time, load time, API calls, CPU processes, memory usage, and various other components that ensure stable experience for the end user. Software Development Lifecycle is a journey of ups and downs – things get broken and fixed throughout. A DevOps dashboard monitors the process and helps you to spot bugs before you get flooded with user feedback and grievances. As mentioned earlier, building metrics on the DevOps dashboard totally depends on the projects objective. Nevertheless, we have tried to boil down to 6 DevOps metrics that an enterprise dashboard cannot ignore. Frequency of Deployment – This metrics will keep a tab on the frequency of deploying the new code. It will help track the deployment process by team members, which is a critical activity for any project. Moreover, it is all-pervasive and is applicable across projects. Tracking change – It is absolutely critical to track the user stories associated with the project, and most importantly setting the parameters to track the complexity of the changes occurring in the project. Tracking the Lead Time – Software/application development follows a process of development to deployment, where new code is developed and successfully deployed into production. Cycle time is a key indicator to determine efficiency in the process, where it helps the team to understand the areas of improvement. Ultimately the metrics helps teams to get a better hold of the project’s development. Track % of deployments failed – You need to track the percentage of deployments that has led to outage and negative feedback from the users. By the nature of the DevOps approach, it is expected to build quality right from the beginning, rather than post development as an afterthought. Experts suggest to review this metrics as a team to effectively keep a track of the negative sentiment in the project. Mean Time to Recovery (MTTR) – Recovery and resilience is critical in any project, as it will help build market-readiness of the software/application. MTTR is an ideal process of tracking complex issues and failures, assessing the ability of the teams to handle change and bounce back. Performance Metrics – This metric has to remain stable irrespective of any changes in user feedback or deployment indicators. 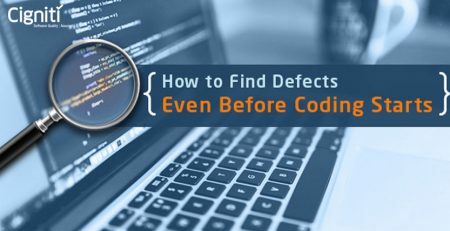 It is a key indicator that the software/application is operational within the defined limits. Apart from this there are other metrics to consider such as Customer ticket volume, change in user volume, and determining availability of the software/application. Variations can be done depending on the significance of various aspects in the project. It is challenging to bring about real-time, data-driven IT decision making and will continue to be even with the best and most agile approaches in place. As against the traditional Software development process that encourages working in silos, DevOps encourages a more collaborative approach. Traditional processes of building software and applications take a stunted approach towards imbibing creative and offbeat thinking. It is more of a push process, DevOps looks at it as a proactive deal by every member in the group. Consequently, this decision making approach to proactively drive the initiatives triggers a lot of cross-team collaboration and working. This is the outcome of the digital era, where it is expected to be more agile and resilient for building products and services that are expected to sustain in a volatile marketplace. So this shift in workflow is not particularly about technical decision making, it is about shifting the mind-set and imbibing a culture of proactive ownership and collaboration. With the new philosophy, teams are encouraged to work together on activities that impact the overall business, as each team will directly or indirectly create its own effect across the system/project. Creating a DevOps dashboard totally depends on, and is greatly influenced by, your own challenges and requirements. It is a reflection of the project’s needs and the overall approach of the team. So, it is recommended to create, edit, repeat and build focused dashboard metrics that will enhance visibility of the project’s process and issues. Additionally, it will incorporate response time, usage of resources, issues/errors, user feedback, and any aspect that you deem important for speedy delivery. For instance, tracking CPU usage for individual internal APIs helps the Ops team to evaluate the issues with performance and accordingly take necessary action. The market is flooded with vendors that can offer you Dashboards and let you tailor it by your needs. The question remains, what is your requirement and objective for creating it? It can be decided only by the team and with the project at hand. Do you need the dashboard for tracking the application? For assessing the team’s progress? For tracking the core performance KPIs and making them visible for all? The objective is to get the process going collaboratively and deliver the same at speed with quality. There are ‘n’ number of ways in which the functioning of the software can be gauged. With DevOps it is important to ensure that the developers/QA engineers continue to be on the same page with the Operations engineers. Dashboard metrics can help you track and alert you on any discrepancies with the team or the project. 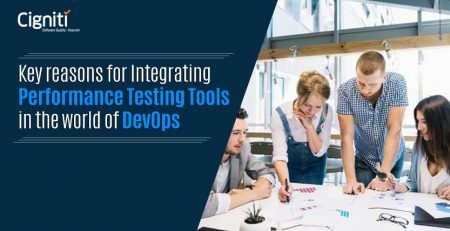 Quality and speed are at the core of the DevOps approach, a key reason why leading enterprises across the globe leverage this synergy between development teams and operations teams with an integrated DevOps model. DevOps culture is majorly driven by not just the synergy, but also the undying need for continues collaboration and delivery. At Cigniti, we regulate efforts and ensure accelerated time to market with DevOps Testing. 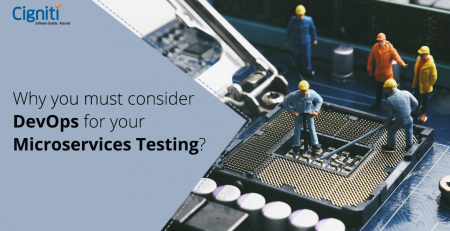 Our DevOps Test Center of Excellence provides a host of services such as DevOps readiness and maturity assessment, DevOps in QA implementation, automated test orchestration solutions, and Tool feasibility and recommendations. Connect with our experts to adopt the DevOps approach effectively and derive desired outcome for your enterprise.